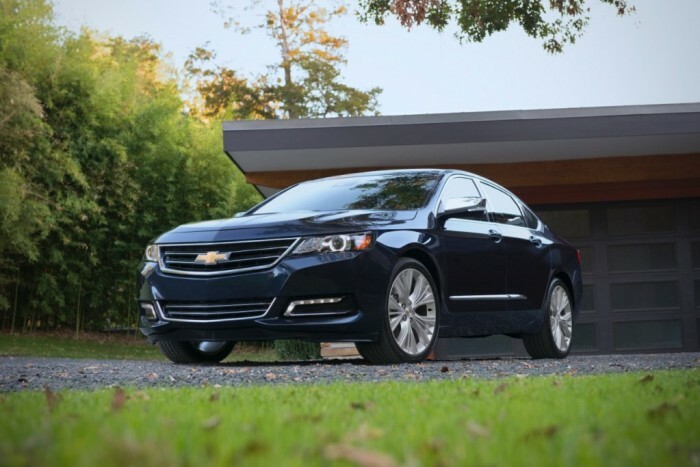 Following last year’s total redesign, the 2015 Chevy Impala sees some minor updates, including auto stop/start technology to improve fuel economy. Featuring flowing lines and sweeping contours, the full-size sedan’s handsome exterior design is athletic and practical. Its power dome hood, wide chrome grille, projector-beam headlamps, available LED daytime running lamps, and high-intensity discharge (HID) headlamps showcase the Impala’s bold, updated look. All three 2015 Chevy Impala trims come standard with a 2.5-liter four-cylinder engine that puts out 195 hp and 187 pound-feet of torque.The available 3.6-liter V6 engine packs 305 hp and can get from 0-60 in only 6.8 seconds. The 2.5-liter four-cylinder offers an EPA-estimated 25 mpg city and 36 mpg highway, while the more powerful 3.6-liter V6 gets an estimated 29 mpg highway. 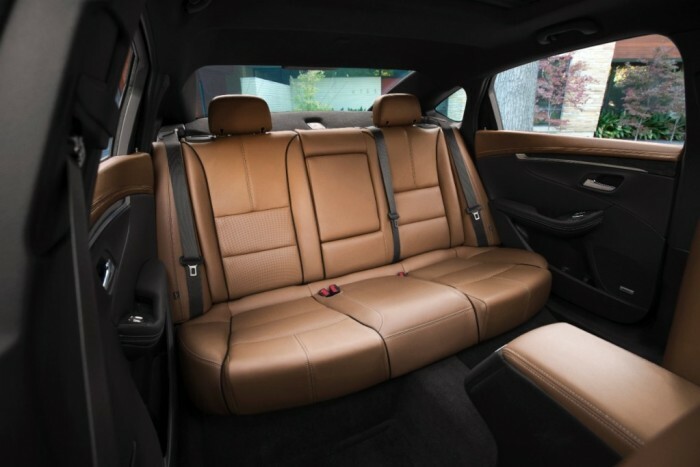 The large Impala features more interior space than most of its competitors, comfortably seating five adults. Quality materials accent the flowing instrument panel, which is well laid-out and easy to read. The available eight-inch diagonal touch-screen display goes up and down with the touch of a button, revealing and concealing a lockable compartment with a USB port for discreetly charging your phone. Cabin noise has been drastically reduced with Bose® Active Noise Cancellation, triple-sealed doors, and acoustic-laminated glass. Passengers will be comfortable and connected in the Impala’s modern and welcoming cabin. The Impala comes standard with ten airbags and can be fitted with adaptive cruise control, blind-spot monitors, parking sensors, and a rearview camera is an option on all but the LTZ. The 2015 Impala has earned the top overall rating of five-stars in government crash tests, including five-star ratings in the frontal and side impact tests.